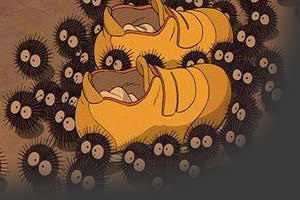 Written and directed by Hayao Miyazaki, Spirited Away is his most imaginative work to date. 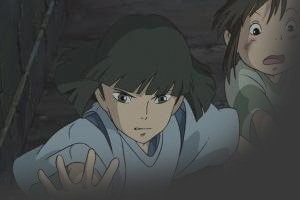 This epic tale is a departure from Miyazaki’s other fantasy adventures such as Nausicaa, Laputa, and Mononoke Hime, as it is a fantasy aimed for the 10-year old audience. Despite the intended age group, adults will probably gain more from this film, however. 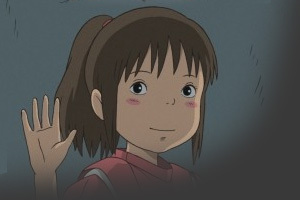 Spirited Away is comparable to Alice in Wonderland, as the story of Chihiro going through the tunnel is very much like Alice falling through the rabbit hole, but the similarities are superficial. 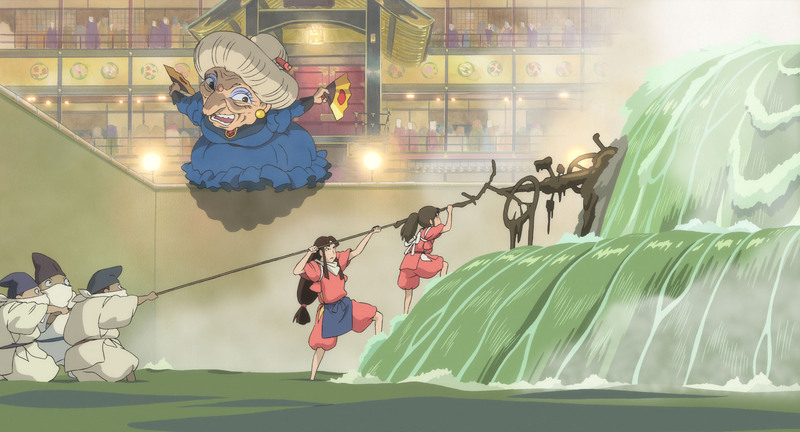 The world of Spirited Away, in some ways, is wilder and more surreal than Alice in Wonderland yet at the same time more believable and coherent as well. 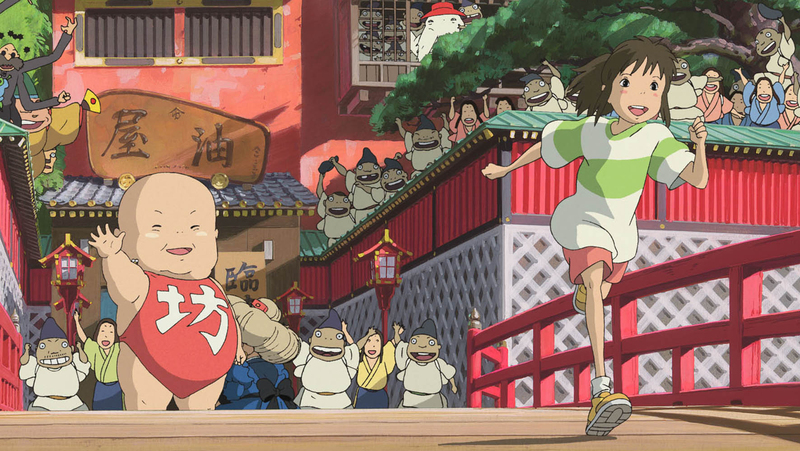 For a film aimed at such a young audience, Spirited Away is surprisingly profound. This story’s underlying theme concerns the importance of names and promises. When Chihiro becomes employed by Yubaba, the witch who rules the spirit world, she has to renounce her own name, which she needs in order to free herself. 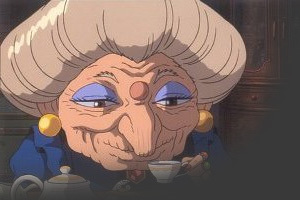 Even Yubaba is bound by the oaths she has made in the past. 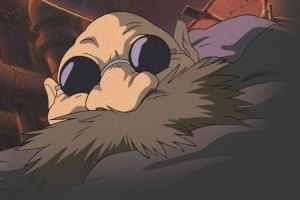 In the world of Spirited Away, everyone is bound by their own words and names. What sets this animated film apart from most of the popular children’s animated films (such as Disney titles) is that there is no real enemy that the main character has to vanquish. 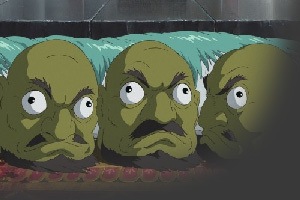 There are no clear lines between good and evil in Spirited Away, as all the characters (except perhaps Chihiro) will exhibit characteristics, true to real life. 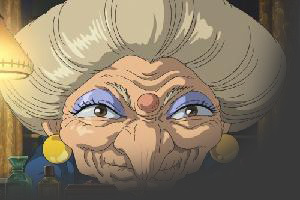 Though Yubaba will appear to be the film’s main villain, the audience is not made to hate her enough to wish peril upon her since there is a compassionate and comical side to her as well. This film is gripping from the beginning to the end. 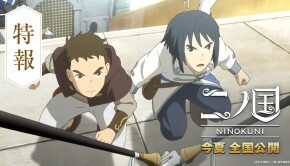 From the moment when Chihiro meets Haku, the male lead character, the pace of the film catapults. One reason the story is so captivating is that the whole film is unpredictable. I found myself developing certain expectations of how the story would develop, but each time the story heads off in a completely unexpected direction. 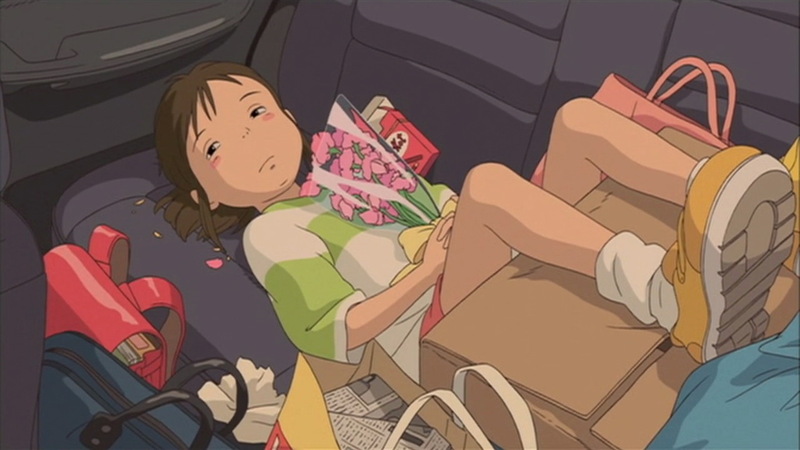 Chihiro’s bravery and innocent selflessness is quite surprising at times, as well as inspiring and heartwarming. 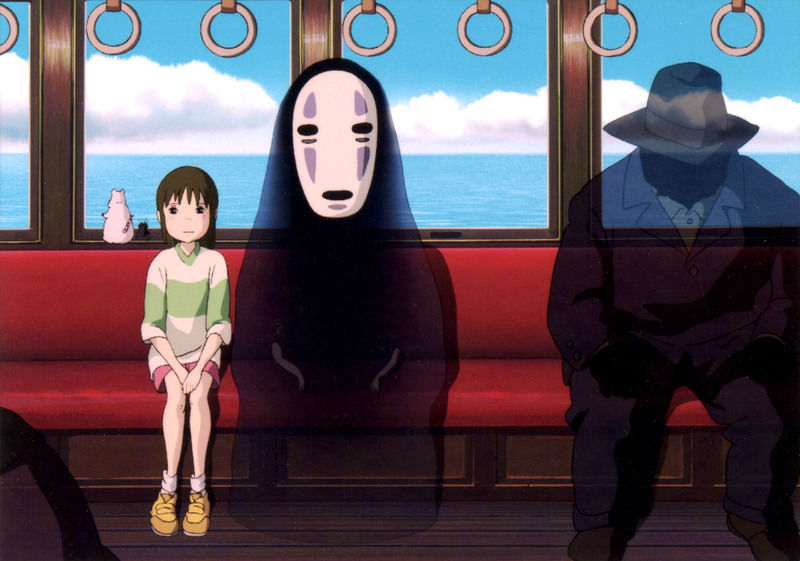 There are various sub-characters, such as No-Face and an oversized baby named Boh, and sub-plots woven together with Chihiro and the main plot seamlessly. 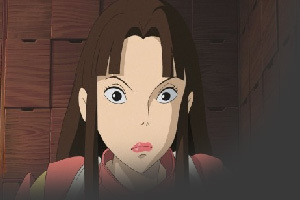 It is immediately apparent that Spirited Away is a high quality production, and rivals animated features by Disney and Dreamworks. 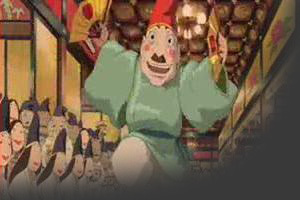 The look of Spirited Away has a very traditional Japanese feel to it, although there are elements of European and modern Tokyo mixed in as well, such as Boh’s room and the train. 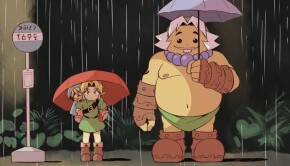 Everything is drawn and animated in amazingly lush colours. Computer graphics skillfully merge with the traditional hand-drawn animation. 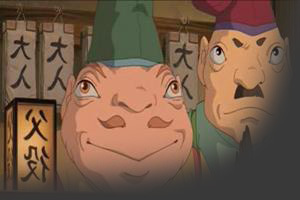 Although the computer graphics are easy to spot, they add to the film’s aesthetic rather than sticking out like a sore thumb. 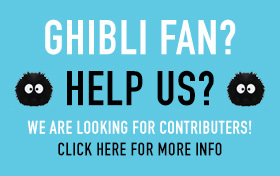 The scene of Chihiro walking along the train tracks in the ocean is testament to this claim. Visually the film is stunning, and offers a fresh, unique look and feel. 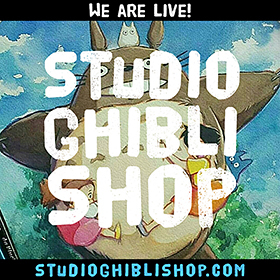 The music, like the visuals, sounds Japanese in some parts and Western in others. Some tracks are tranquil and sad as Chihiro, pondering her predicament, gazes out over the ocean at night. 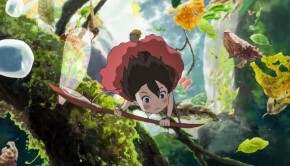 Other tracks are mysterious and gripping, as in the scene where Chihiro frightfully finds her surroundings transform, and there are even triumphant and majestic tracks to match the arrival of the gods. 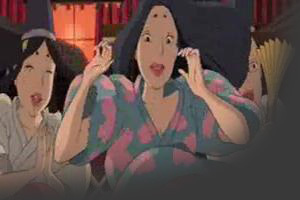 The soundtrack is very effective, contributing just as much as visuals and plot in making Spirited Away work. There is absolutely no fault I can find with this film, and I am hard-pressed to imagine how anyone could not like it. 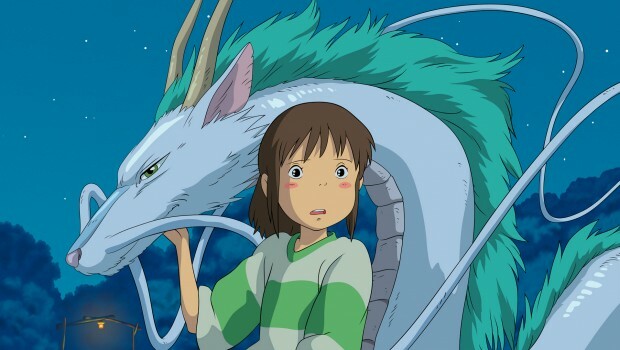 Spirited Away is beautifully animated, funny, has an arsenal of wildly imaginative characters and an inspiring story, and has a great soundtrack to support it. The audience will be divided into two main groups; those who like it, and those who will absolutely adore it. Kids will definitely enjoy it, and adults will wish that they were 10 years old again. Definitely one of the best films I have ever seen. 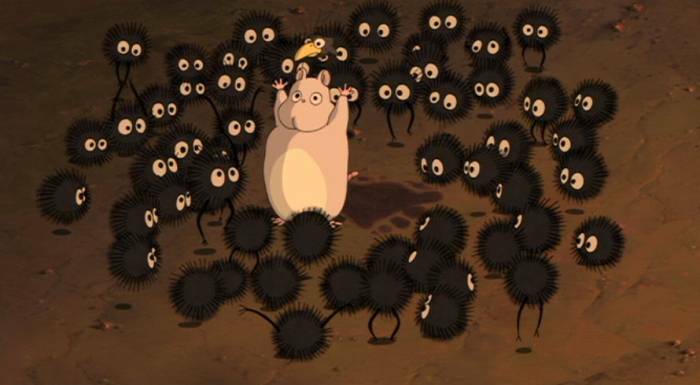 Well done, Miyazaki! 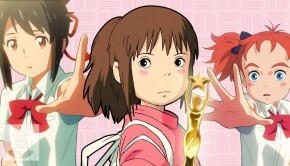 A hard working, optimistic little girl who matures greatly in the film. Chihiro is forced to change her name to “Sen”. 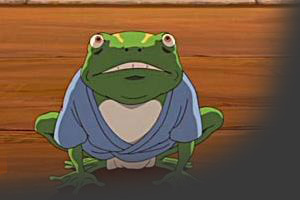 Although Haku helps Sen more than anyone else, he has a selfish side. He performs magic and also transforms into a dragon. 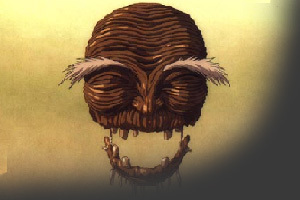 Chihiro’s father. 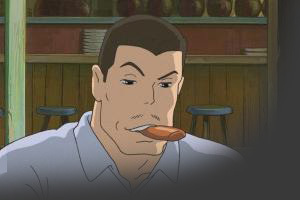 He has trouble taming his hunger which leads to disaster. 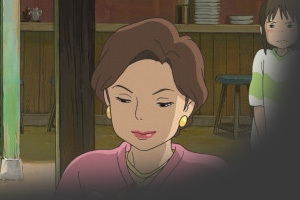 Chihiro’s mother. She worries alot but lets curiosity make the best of her. Rules over the bathhouse with an iron fist. She loves money and her big baby. She hates her twin sister and abiding to the rules. Yu-Baaba’s rival sister. A heart-warming old witch. She is friendly and forgiving. 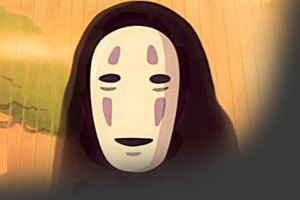 Chihiro’s one and only friend. She looks after her and makes sure no harm is ever done to her. She has seniority in the bathhouse. A masked, cloaked spirit who feeds on the emotions of others. He becomes a gluttonous beast when in the bathouse then reverts to a lonely spirit upon leaving. Six armed, friendly old man who casts a spell on soot which allows them to grow legs and help run the bolier room. Yu-Baaba’s baby boy. He is afraid of germs at first but, when turned into a mouse, loves every minute of it. 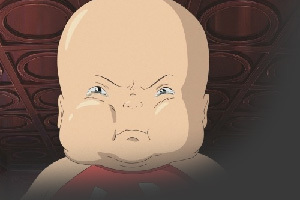 He finds his mother is too busy for him and leaves with Chihiro, only to return again. Yu-Baaba’s watchful eye in the sky. 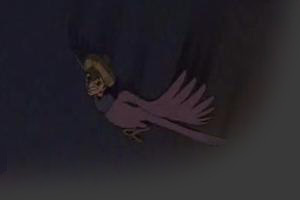 The bird flies around and scouts the perimeter of the bathhouse. Management of the bathhouse. They obey every order given from Yu-Baaba. Also management of the bathhouse. Level lower than Chichi-yaku’s. Magical balls of labouring soot. They throw coal into the boiler that heats water for the bathhouse. A traditional river god. He’s a customer at the bathhouse. Workers in the bathhouse are all female and known as “bath women”. Three magical bouncing/rolling heads. They express themselves through grunting. A stink spirit that owns up to his name. 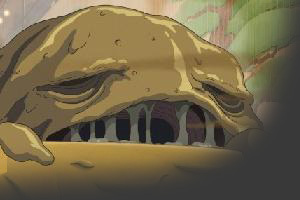 He is very sluggish and leaves dirt and sludge behind as he walks. Did I mention plants die from the stench?